The primary theme of last week’s Torah Parsha (TERUMAH) was the building of the Mishken (Sanctuary). Each Israelite donated the gold; silver; copper; fabric; and, all of the other materials required to create a dwelling of splendor, where God would live ‘within its midst’. This week’s Torah Parsha (TETZAVEH), begins with God speaking to Moses: “You shall command the Children of Israel, and they shall bring to you pure oil, crushed for lighting, to kindle the lamps, continually” (1). 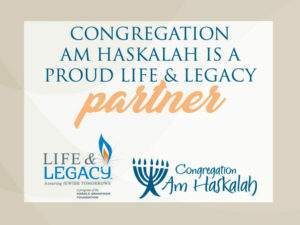 With this Parsha, something new enters Judaism: Aaron and his male descendants are appointed as the ‘hereditary elite’, to live in the Sanctuary; and, to focus on the holiness and spirituality of the Israelites. In order to inspire reverence, respect, and honor, God commanded that Aaron (designated as the ‘High Priest’), as well as the Priests from his family, be attired in specific garments, designed and created by men of ‘wisdom’ (2 ).To that end, Parsha (TETZAVEH) is comprised of punctilious detail, pertaining to the elaborate apparel to be worn, while performing their holy responsibilities. According to the Talmud (3), each of the eight garments worn by the ‘High Priest’; and, four of the eight, worn by the Priests, had symbolic significance. Those worn by the ‘High Priest’, alone included an ‘epod’ (apron), atonement for idolatry; ‘diadem’ (jeweled crown) to sanctify the People to God; breastplate, bearing the names of the twelve tribes he represented; and, a robe (with bells on the bottom), to alert the Divine Presence of Aaron’s approach, as he entered the Sanctuary. The four articles of clothing worn by Aaron and the Priests included: a cloak (for the crime of murder); pants (for the crime of immorality); a hat, symbolizing ‘haughtiness’; and, a sash to atone for illicit thoughts of the heart. Although Parsha (TETZAVEH) describes the sacred attire of the Priests with minute specification, only brief references are mentioned as to the actual responsibilities of this ‘elite’ group of men. In addition to receiving sacrifices from the Israelites, and maintaining an eternal light, further research suggests that the Priests were responsible for gathering the Israelites together at the bottom of Mount Sinai, to lead them in prayers, or festivals and holidays. The Priests also served as ‘Supreme Judges’, if the existing legal system was unable to attain agreement, concerning a particular issue or situation. Their responsibilities also included maintaining the elegance of the Sanctuary; and, dedication to study of God’s laws and commandments. In consideration of the emotional and mental state of the Israelites, in ancient times, most of our sages considered the Priestly class as essential. They gave the religious life of the People: structure and continuity; its rituals, routines; and, its periodic festivals and celebrations. In effect, their primary job was to ensure that the Israelites remained a holy people, devoted to one God. For modern Jews, the concept of a society based on a hierarchy and class system is difficult to accept. In Parsha (TETZAVEH), we are challenged with a heavy spiritual demand, neither easily interpreted, nor easily embraced.